Your business serves the best food, right? Secret recipes abound and no one knows quite how you manage to get all of those flavours into just one bowl of ramen. A loyal customer base keeps things ticking over – great news – but what about all those people running about at lunchtime who don’t know you do the most authentic Korma this side of India? Office staff are wandering around with bowls of the good stuff and a stranger catches a whiff but their nose only takes them so far. Hopefully we’re painting the right picture here but just in case you’re missing the point we’re practically hammering home: packaging = branding = business. 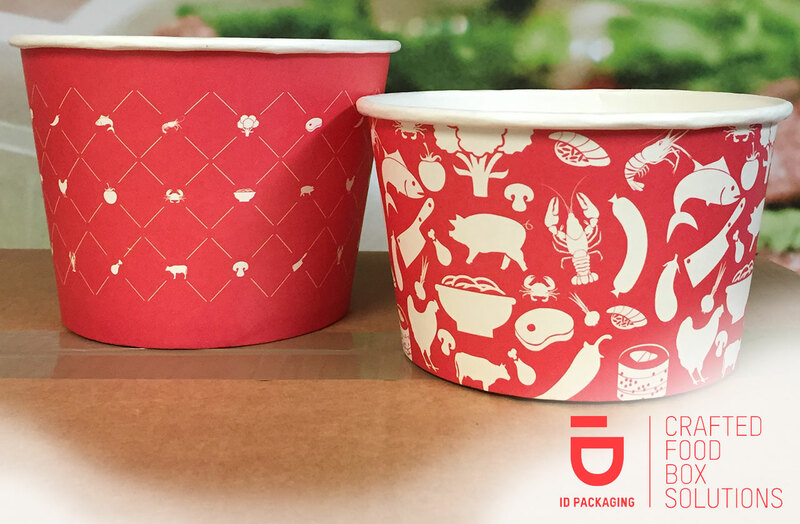 At ID Packaging, we’re proud to offer quality containers and low prices but our ideas don’t end there. We work with our clients to help them understand and appreciate the importance of using those innocuous-looking bowls and trays as brand awareness weapons, infiltrating the minds of customers ninja-style. Read on to find out our top 3 reasons for getting personally-branded packaging. Packaging printed with your brand logo, colours or even tagline alerts those who aren’t in the know to your existence. When you’re salivating over the tray of tasting chicken being wolfed down by the person next to you on the train it’s easy to make a mental note of which kitchen it was cooked in when the packaging is emblazoned with the eatery’s name. These days packaging is as much a part of a business’s marketing strategy as radio, television or print advertising. Think about a Crunchie – does your mind’s eye see the latest ad campaign, or does it see that famous golden wrapper? Point proven. Getting packaging printed with on-brand colours or text can create an ad campaign in itself and an instant association between your unique containers and your food. Getting your containers right is essential for your business – of course it keeps your food fresh and tasty but it holds serious marketing and advertising benefits too, get it right and you could see your business go from just another takeout to a recognizable brand.